The best part about the beginning of a new year is that it signals a fresh start. And what better way for a watch enthusiast to have a fresh start than to sport a new watch! With Bob’s Watches, it’s easy to trade in your existing Rolex watch for another model. 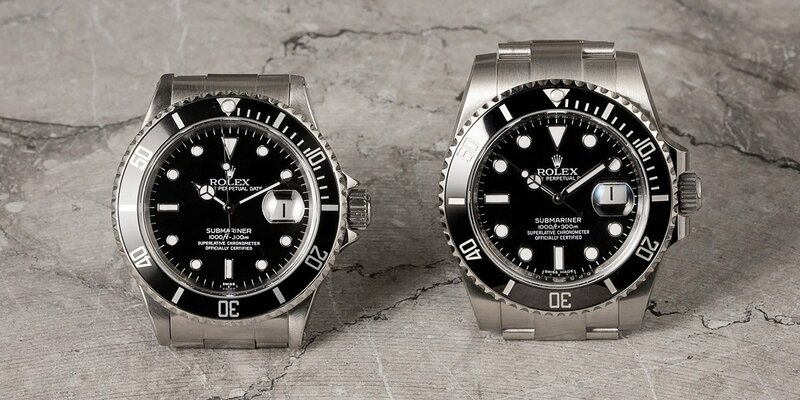 For instance, if you currently own a Submariner ref. 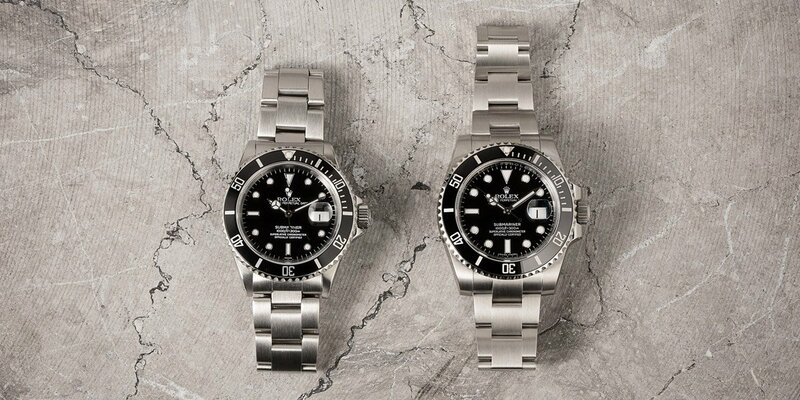 16610 but have your eye on the latest Submariner ref. 116610 with the larger case and new ceramic bezel, then getting your hands on one is easier than you think. Read on to find out how to trade in your old watch for a newer Rolex from Bob’s Watches. Our trade-in program at Bob’s Watches is simple and straightforward. You can begin by browsing our fantastic selection of pre-owned Rolex watches to find the one that catches your eye. For example, we have a large assortment of the current ceramic Submariner ref. 116610 in stock—most with box and papers and some in unworn condition. Use our “Compare Watches” feature to find the one that suits you best. This new feature makes it simple to compare things like condition, price, production year, availability of box and papers, and so on. Compare the watches you want and see which best suits your needs. Once you’ve settled on the Submariner ref. 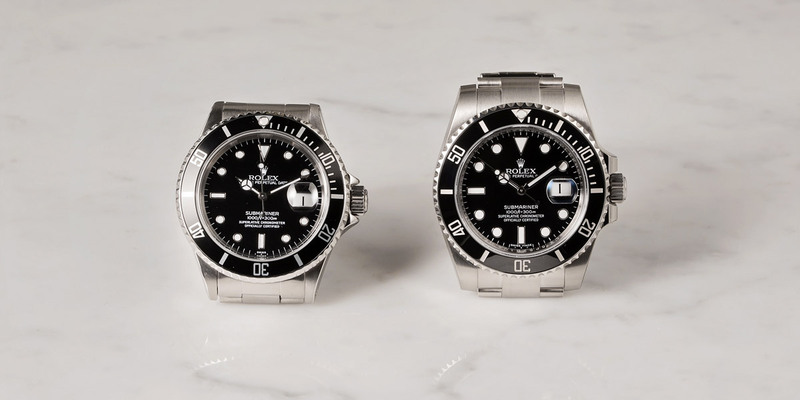 116610 you want, then you can find out how much your current Rolex Submariner ref. 16610 is worth. At Bob’s Watches, we publish both the buy and sell prices of each Rolex model so it’s easy to estimate how much you can sell your Rolex for. For an official quote, fill out the “Free Instant Quote Request Form” or give us a call at (800) 376-7430. A member of the Bob’s team will get back to you shortly with a trade-in credit quote for your Submariner ref. 16610. Which of these watches would you wear? Once we receive your Rolex, your trade-in credit will be applied and you’ll only be charged the difference in price for your newer Rolex watch. A like-new Submariner 116610 for a fraction of what you’d pay at retail! Whether you want an older model or a newer model is up to you. If you’re looking to trade a Rolex, then let us help you find the perfect watch to start off the new year in style. 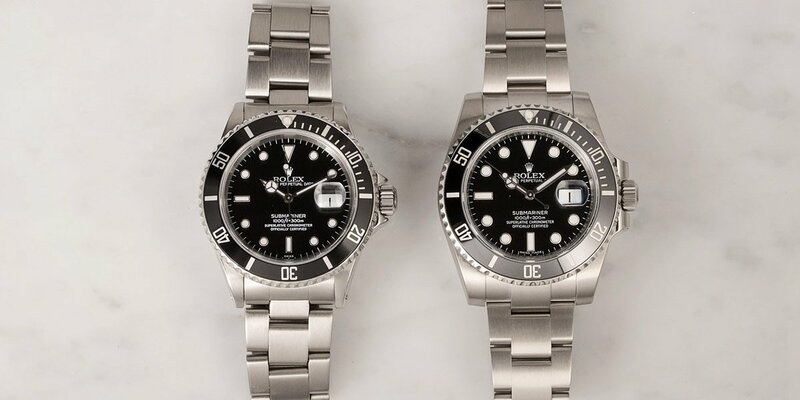 From Submariners to Daytonas to GMT-Masters to Day-Date Presidents to Datejusts and so many other models, check out our assortment of pre-owned Rolex watches. And when you’re ready, get in touch to trade your old watch for one of ours.